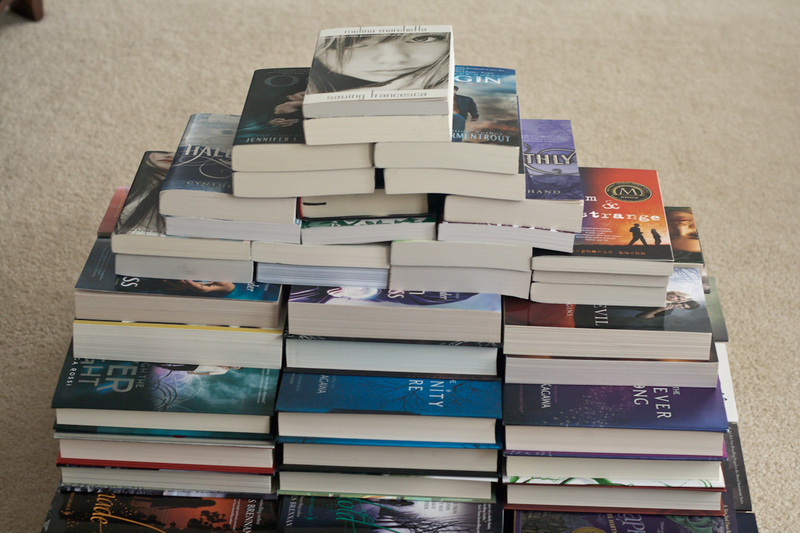 The Book Blogger Love-A-Thon is hosted by Alexa Loves Books. I tried to do a house, but it kept falling over. I'm sitting thistle out, but I hopecyoull visit one of my other LAT posts. 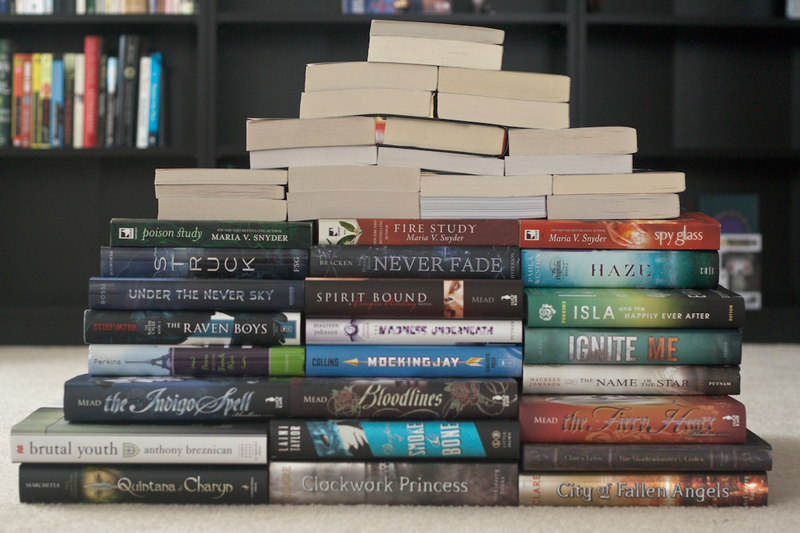 Book pyramid!! Love it! I'm pretty sure if I tried this it would just fall over. My cousin gets all the credit- she's really good at these kinds of projects. If I'd attempted it myself, it never would have happened, lol. We did want to build higher but ran out of time. 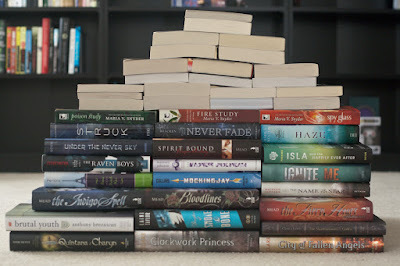 For the next one, we'd love to see how tall we can go! 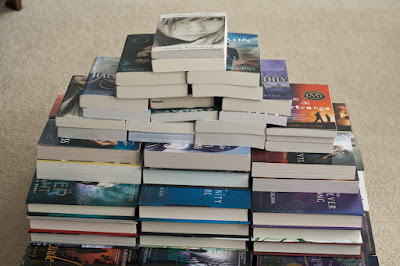 I love bookish projects and would definitely try this again, but with even more books next time!